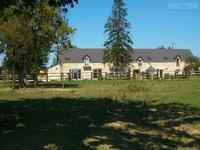 Spacious 5 bedroom property with large fish pond( 2200m²). just a few minutes from Châteaubriant and an hour from both Rennes and Nantes airports. Superb house in the heart of the countryside. The property offers a living room, dining . . .